New York City is the original concrete jungle, a bustling mass of skyscrapers, sidewalks, and subways. Green spaces and gardens can be few and far between, making them especially coveted for residents and visitors alike – especially once the weather warms up. 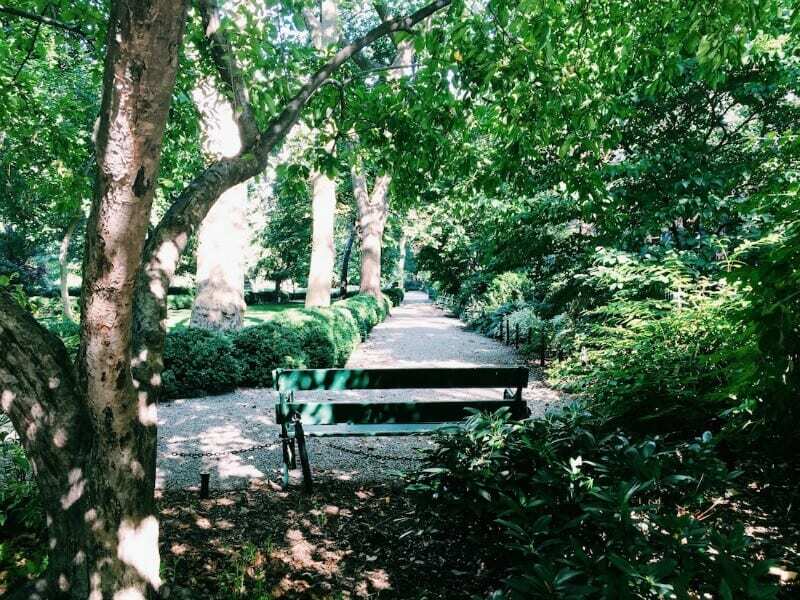 Whether you’re searching for the perfect picnic ground, space to run and play, or simply a grassy knoll away from the teeming masses, here are a few of my favorite NYC parks (and a bonus one in Brooklyn!). Not included in here are the riverfront greenways, but know that if you’re ever itching for a breeze and a tree-lined esplanade, heading to the waterfront is a good way to go. Without a doubt, the most well-known park in NYC (if not the world). 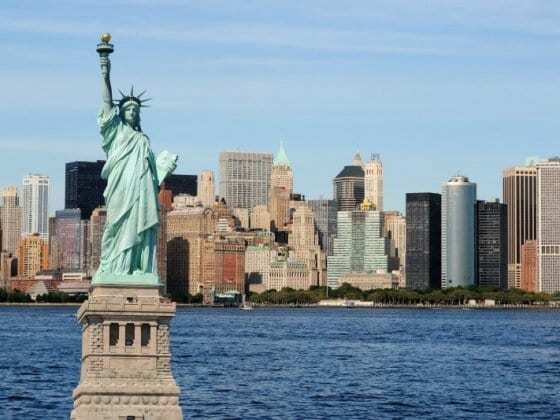 It takes up 778 acres in the heart of Manhattan: six percent of the total land area of the island! 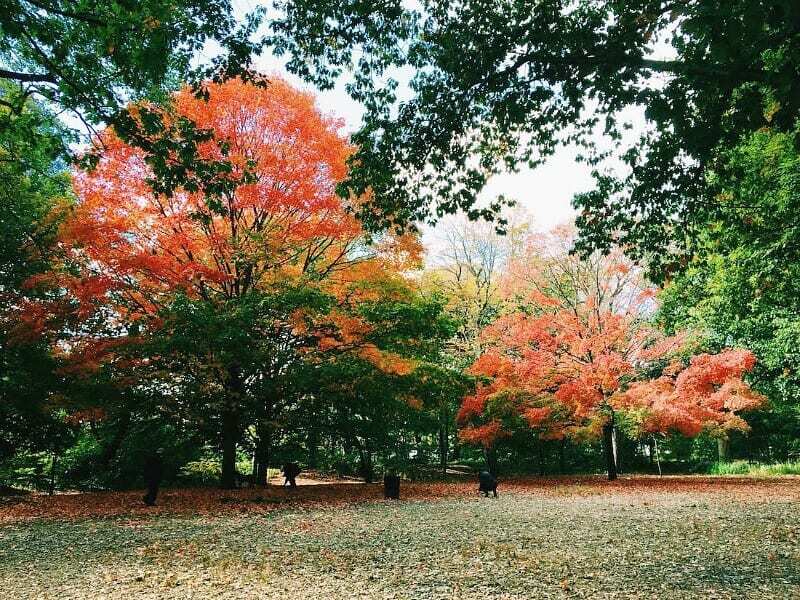 There’s plenty to do in Central Park in all seasons: ice skating and sledding, bike riding or rollerblading, having a picnic in Sheep Meadow, or just wandering around to enjoy the leaves changing color or the magnolia trees blooming. Although Central Park New York is a favorite place for New Yorkers to walk their dogs or play in a softball league, there are plenty of iconic sites as well. Have a drink at the Boathouse and watch the lovers row around the lake under Bow Bridge – or even rent a boat yourself. 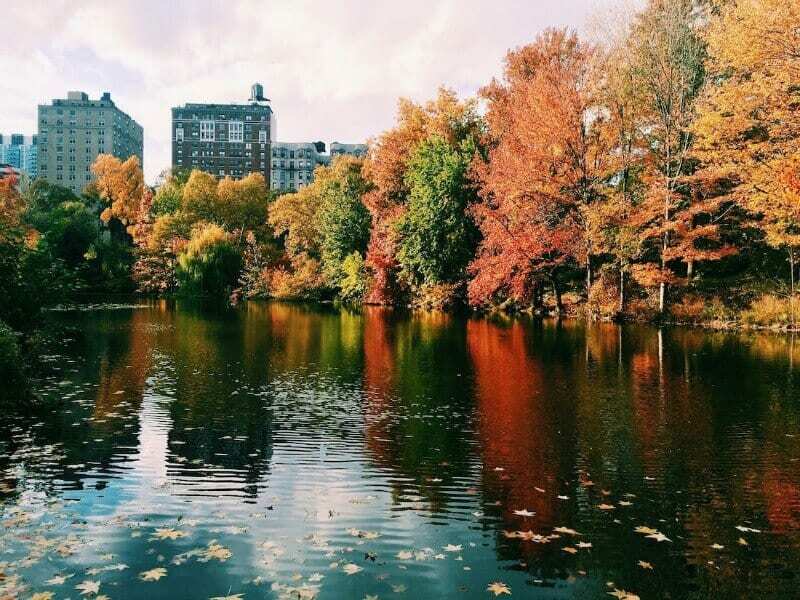 You can splurge on dinner at Tavern on the Green, watch the kids (and adults) race model sailboats on the Conservatory Water, pop into the Metropolitan Museum of Art or see the view of Turtle Pond from Belvedere Castle. Note that the farther north you go in the park, the fewer tourists you’ll see! 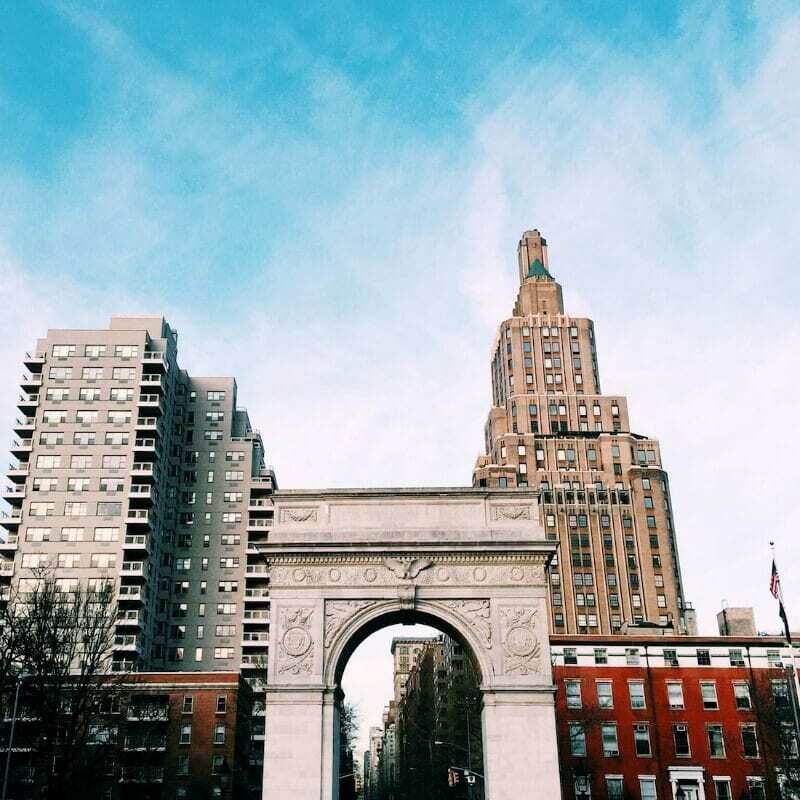 Washington Square Park is right in the heart of West Village, and only a few steps from the shopping madness of SoHo. The square is also lined with the NYU campus buildings, so it’s unsurprisingly filled with plenty of college kids. Home to the most famous arch in the city – built to celebrate the centennial of George Washington’s inauguration as president – there’s also a fountain that is filled with playing children during the summer months. 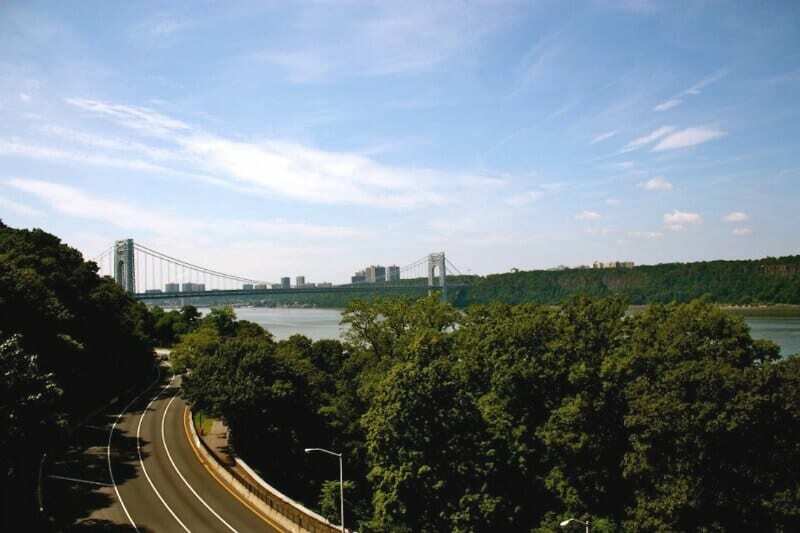 It’s hard to believe you’re still on Manhattan when you’re in Fort Tryon Park: it starts at 190 th Street. 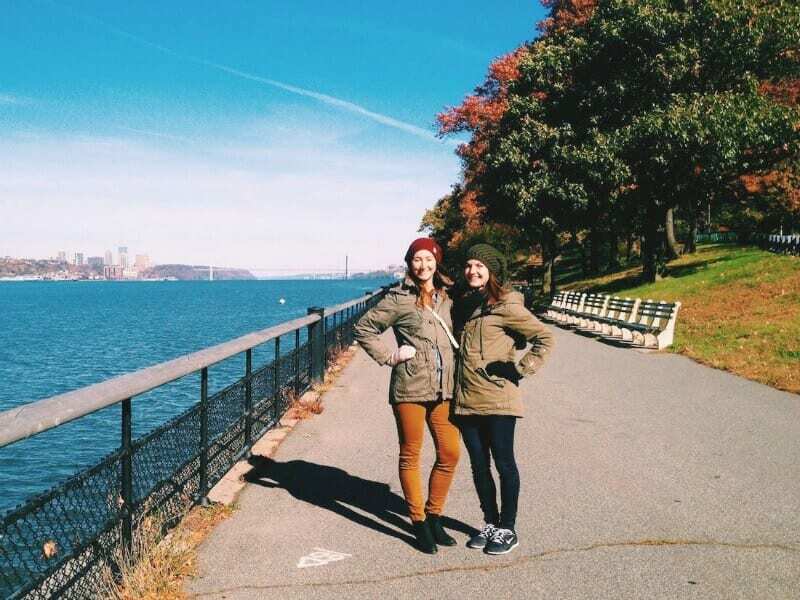 It holds the city’s largest public garden, overlooking the Hudson River with a view of the George Washington Bridge. It’s big enough (and far enough away from the center of the city) that you can always find a quiet corner to yourself. Fort Tryon Park is also home to the Cloisters, a branch of the Metropolitan Museum of Art that focuses on medieval art and is actually made up of ancient buildings that were transported from Europe and reconstructed on the site. My favorite part of the Cloisters is the outdoor section: it has a herb garden with more than 250 species of plants that were grown during the Middle Ages. Gramercy Park is arguably the most exclusive green space in New York City: you can only enter with one of 383 coveted keys to the park. It’s been fenced since 1833 and locked since 1844, with keys only granted to parkside residents, club members and hotel guests. But even if you can’t wiggle your toes in the grass, it’s still a lovely and quiet tree-lined walk around the park. I feel like Riverside Park is one of the best-kept secrets in NYC: it’s only a few blocks west of Central Park, but almost no tourists venture that way. 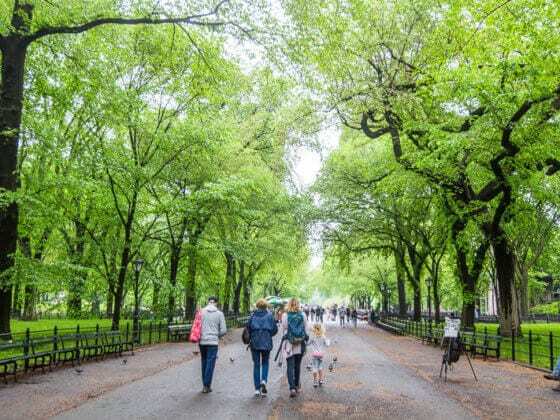 It stretches four miles (from 72 nd to 158 th streets) along the Hudson River, with a wide space to walk or bike that is completely lined with gorgeous towering elm trees. There are a few select gardens, historical monuments (the Soldiers’ and Sailors’ is likely the most well-known), playgrounds and a skate park. Don’t miss stopping at the Boat Basin for a drink with a view of the marina after a walk through the park! 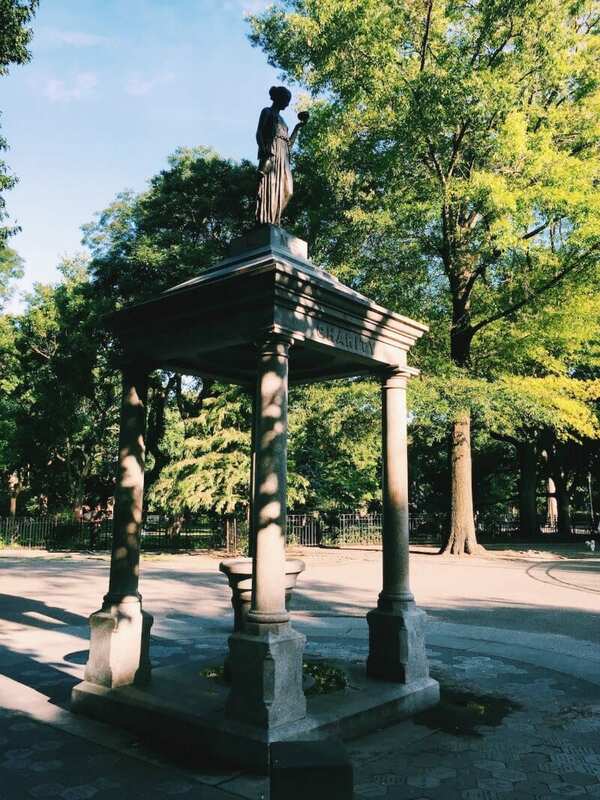 Located in the East Village, Tompkins Square Park is reflective of the eclectic, sometimes-grungy, sometimes-hipster neighborhood that surrounds it. On a sunny day, the limited grass area is packed with sunbathers and picnickers sipping champagne out of red plastic cups. It’s not a huge park, but there’s a dog run, playground, plenty of benches and picnic tables, and often community events. Fun fact: it’s also home to the original Hare Krishna tree, although you’re more likely to see adherents of the religion in Union Square today. Bonus Brooklyn park! I live in Brooklyn, so I may be biased – but what I love most about Prospect Park is that there aren’t very many tourists (not that we don’t love you!). It was designed by the same person who developed Central Park, so there are a ton of similarities, but it’s full of locals! It’s not quite as classically beautiful or as well-maintained, but it’s huge and green and full of wide open spaces. 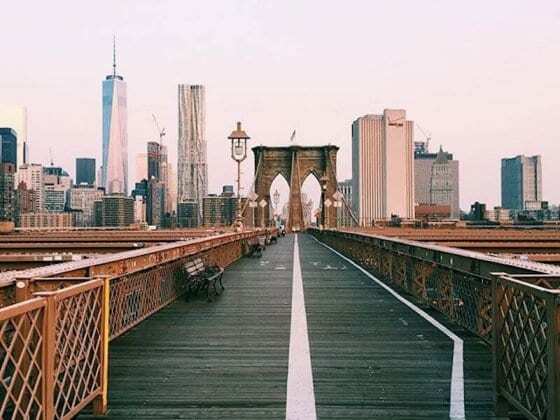 If you’re looking for activity, try a bike ride around the loop (you can rent a CitiBike near Barclay Center) or a paddle boat around the lake. 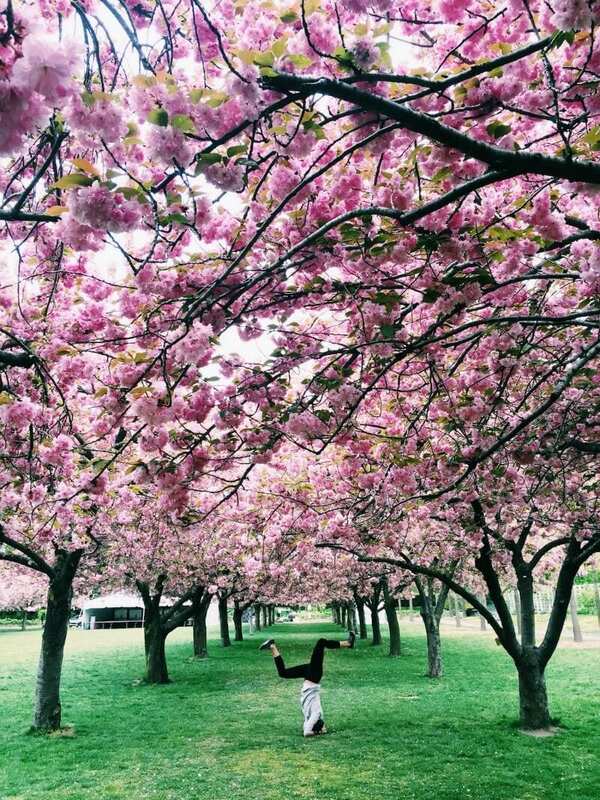 It’s also worth checking out the Brooklyn Botanic Garden, which is located right down the street: it’s especially resplendent during cherry blossom season, but there’s something blooming year-round. Can you recommend any parks in NYC? 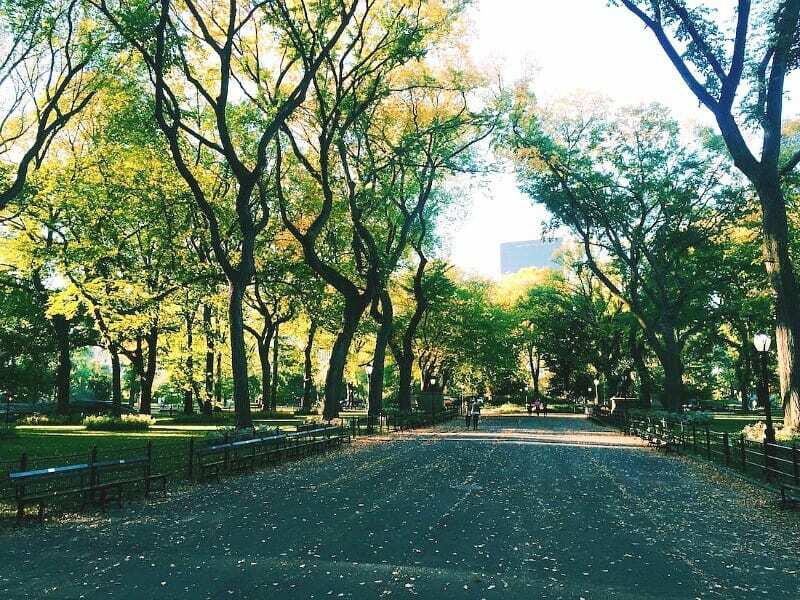 Best Things to do in Central Park, NYC in each season! Mostly we head towards Riverside Park because of its elegant river front and is a best place to enjoy coffee with fresh cookies. Coffee and cookies sound good to me Marla. 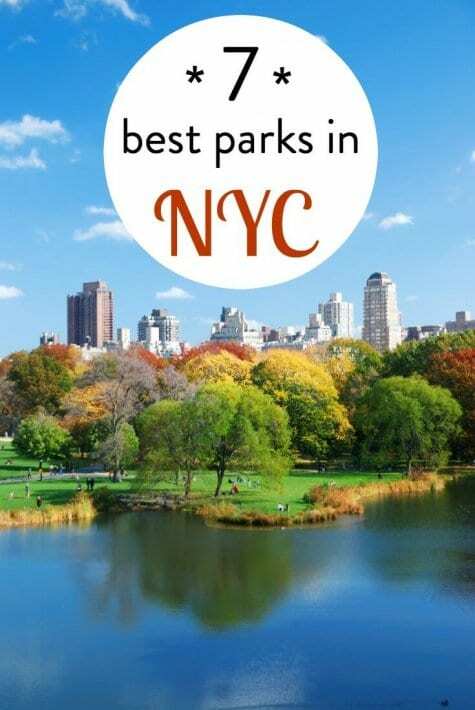 Have you been to these other parks in NYC? Alas no because we stayed in NYC for a couple of weeks and didn’t have much time to go there. Thanks for the suggestions on other parks in NYC Shawna! I want to walk the Highline one day! Thanks for sharing this list. Green space in NYC is so important! I would also recommend these: the High Line, for fantastic views, modern and older architecture and a fresh take on what a park can be and how spaces can be re-used; Madison Square Park for a peaceful place to sit and read, eat or drink a cup of tea, as well as fantastic art installations; and if you’re willing to go to Queens :), go to the Socrates Sculpture Park in Astoria. They have great art and beautiful views of Manhattan across the East River. Afterward, you can stop in one of the many great restaurants in Astoria–Greek, Italian, Colombian, Egyptian and more. Oh–one more–I used to eat lunch every day at Bryant Park. It’s a beautiful park with (to my eye) a European style of landscape and design. They also have a lot of interesting events happening there day and night. Enjoy! Hi Bridget. Thanks so much for adding your insights about parks in NYC. Those sound like great parks too. I hear you on the need for green space! Wow, Prospect Park looks soooo colorful! A treat to the eyes! Spent a year in NYC and Riverside was my favourite park! Wonderful to see some water views and cycling along the path while the autumn leaves rustled out of the way was magic! Great post! I’ve been living in NY for almost a decade now and Battery Park is my favourite. It’s actually my go-to spot for taking out of town guests to show them the prime views of the Statue of Liberty.